Petworth/Crestwood/16th Street Real Estate Market Report-Sept.2013. Petworth,Crestwood and 16th St DC are all in the 20011 zip code. You know there was a time when Petworth DC was not a attractive destination site in Washington DC say maybe five years ago. 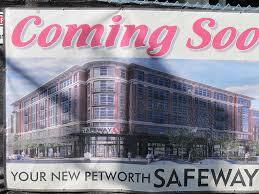 A lot has happened to Petworth in the last five years. The neighborhood to the north of Columbia Heights Petworth was once dubbed "Notyetworth" by the Washington City Paper in 2008. Oh how times have changed. Petworth/Crestwood/16th St has since attracted 20 and 30 year old who some happen to be government workers and also enjoy the nightlife. It is now one of the top neighborhoods to watch in Washington DC. This month's real estate market statistics can also back up that statement. 62 Petworth/Crestwood/16th St DC Homes were sold in September 2013. That is 21.57% more than homes sold in September 2012 when 51 homes were sold. Average days of a Crestwood DC home on the market was 42 days. Around the same time last year,average days of a Crestwood/16th St DC home on the market was 42 days. Median sold price of a Petworth DC Home for sale is $471,250. That is a big 35.43% increase from last year when the median sold price of a Petworth DC home was $347,975. Average Sold price to Original List Price ratio is 99.1% compared to last year September 2012 when the average sold price to original list price was 96.9%. When you price your house according to how the Real Estate Market is performing in your respective City,State,Neighborhood and/or Subdivision,your house will sell for top dollars. So this is why it is very important to price your house right so it will sell quickly and possibly for top dollars. Out of all the 62 Crestwood/16th St DC Houses that were sold in September 2013,27% of them were in the $600,000-$799,999 and 21% of them were in the $300k-$399,999 price range. Petworth has attracted many residents to the neighborhood with its restaurants and retail offerings. Yet more is still to come. A new Safeway is under construction with several floors of residential units above it and storefronts along the avenue are gradually being developed. And if you or know anyone in the market to Sell their Petworth DC House,please them to give me a call. I will take great care of them. And for a more in depth Crestwood/16th Street Real Estate Market Report,please don't hesitate to e-mail me at DChomesforsale@gmail.com to request your free copy. Hope you gained something reading this Real Estate Market Report. Is Bank of America really the worst bank in America?